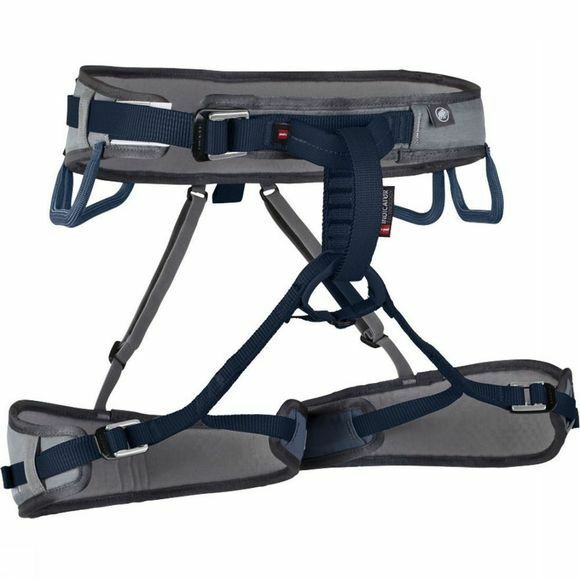 Thanks to the adjustable leg loops, the Ophir 3 Slide is an all-rounder for rock and ice climbing. 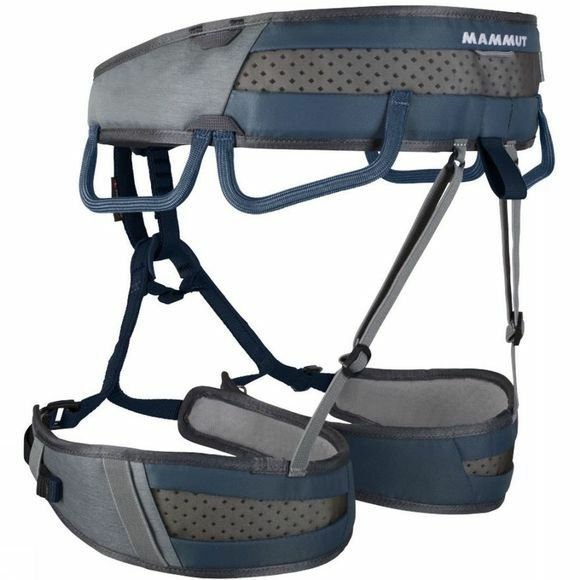 This harness is distinguished by maximum freedom of movement, top comfort and optimum breathability, thanks to the Mammut two-part webbing technology, as well as its successful, asymmetrical design. Featuring a bold look and newly improved components including buckles, indicator belay ring, improved drop seat solution and a lighter protector the new Ophir 3 Slide is now even sportier and guarantees pure climbing fun in the gym or out on the rocks.